Last Friday, my husband and I made our traditional trip to see the Chicago Flower and Garden Show. I will be posting about my overall impressions of the show, and a couple of features I particularly enjoyed, in the next couple of days. 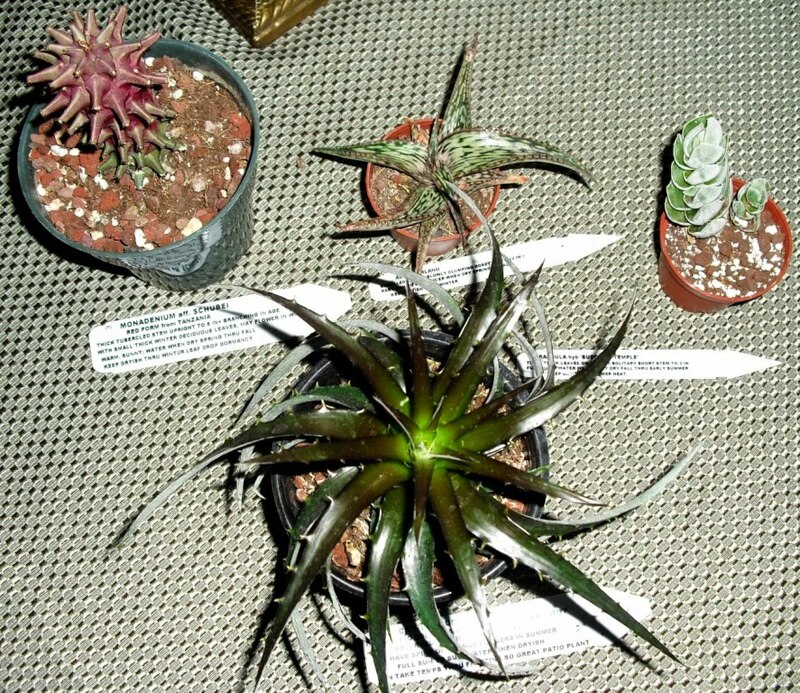 In the meanwhile, here are the plants I purchased at the show. A closer look at Monadenium aff. schubei. I love the color. 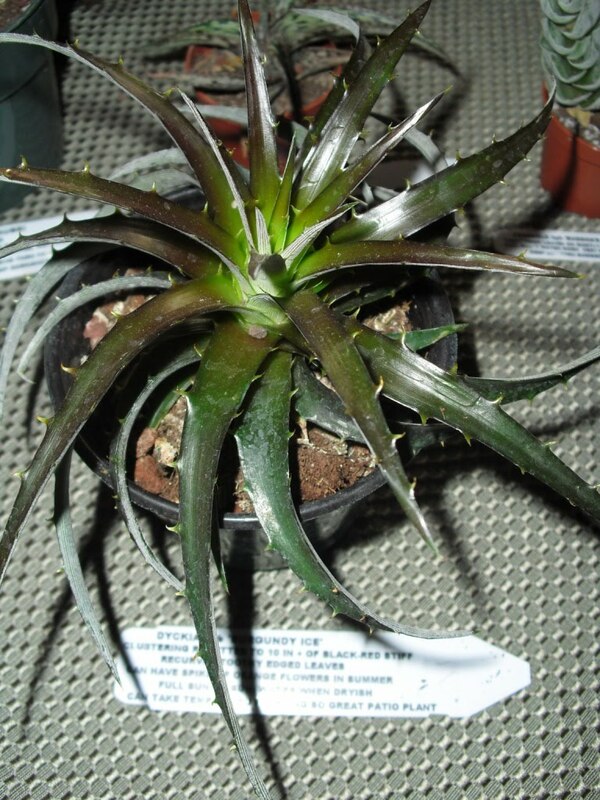 This is my first plant of this genus, and I'm looking forward to learning how to grow it. 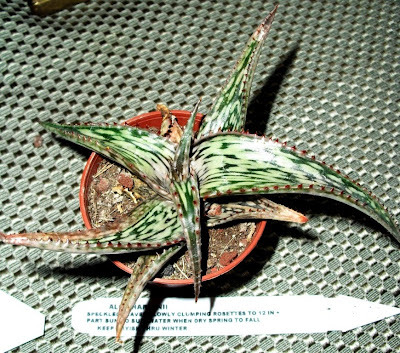 This plant was labeled Aloe harlanii. I am more familiar with the name Aloe harlana, and even more familiar with the idea that plants sold as such are usually Aloe hemmingii. 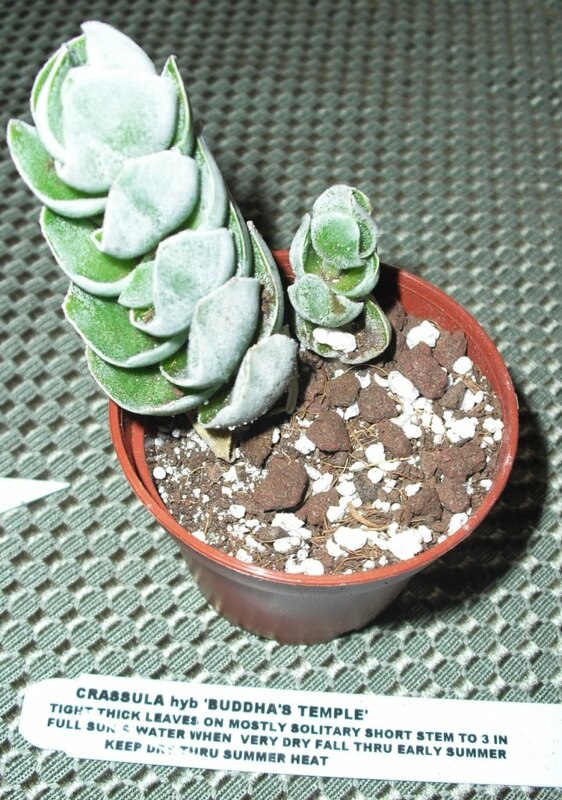 It's a pretty plant though. Dyckia 'Burgundy Ice,' a very nice succulent Bromeliad. The plants are all from Ted's Greenhouse in Tinley Park, IL, which always has a nice, and busy, booth at the Garden Show. These are all really unique and that's unique in a great way! The first one that's purple is something else, great finds! Love them all! Love that first one! Very space-y!!! Wonderful succulents! You have some really great ones. I don't have any of the first one either. It is very interesting! 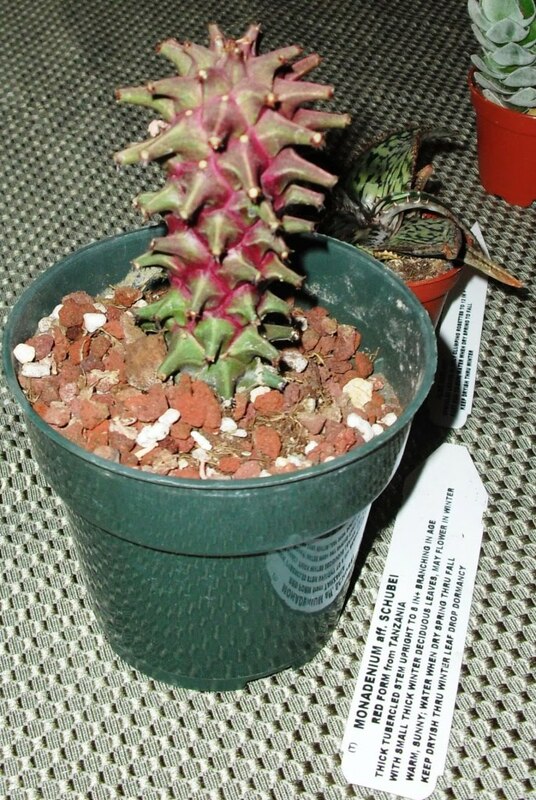 The Monadenium is one of the strangest plants I have seen to date. 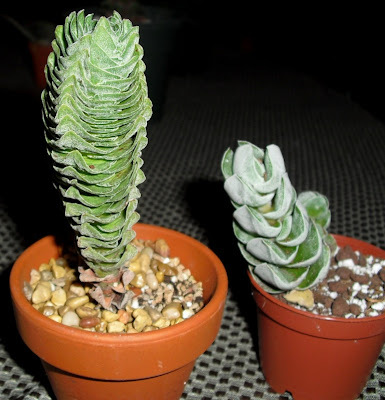 Really cool acquisitions!